There are lots of different types of vacation, and choosing where to go and what to do depends on your personal preferences and situation. For everyone to have a good time, there needs to be something that all members of your party will enjoy. Some vacations are suited to families, while others are for couples or adults only. Other vacations may not be suited to less mobile people, while you action junkies out there would be bored sitting and relaxing on a beach. 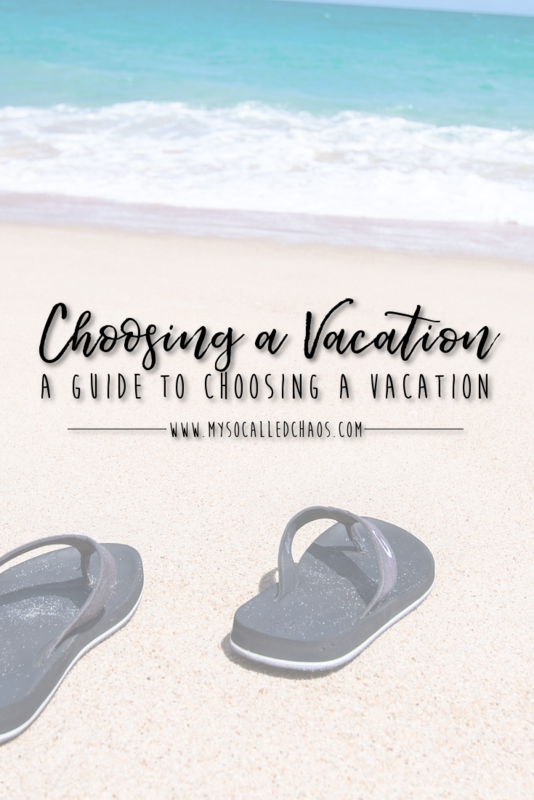 If you are thinking of going on vacation but not sure what type to choose, read through this guide to help you decide! This post may contain affiliate links, thank you so much for your support. Pull on your flip-flops, grab your bikini and sarong and head to the beach to enjoy the relaxing atmosphere. The best thing about a beach vacation is that there is something to please most people. If you like to unwind, then there’s nothing better than sitting in the sunshine, feeling the warmth of the sand and hearing the waves rolling onto the shore. If you like a bit more action, there’s often plenty to do such as surfing, boat rides or snorkeling. The beach is also a great place for families where kids and adults make special memories on vacation. This sort of vacation will be filled with activities to keep you busy. Trekking through a mountain pass, rock climbing, horse riding, or, canoeing, perhaps, the choice is yours! If you enjoy sports and meeting new people, this is the vacation for you. Romantic vacations are great for honeymoons, or just for couples to enjoy spending time with each other. You might take in the sights of a city you haven’t visited before, or try a new hobby together, or enjoy romantic evening meals. For a romantic vacation, choose a destination that provides you and your partner with the opportunity to get closer. Pack your bags and get ready for a road trip! A touring vacation keeps things fresh as you travel from one place to the next, enjoying what each destination has to offer. If you have a motorhome or RV, then a place such as the RV Park in Galveston has all the local amenities and attractions you can experience while staying in the comfort of your RV. One thing to remember is the importance of equipping your RV with quality equipment, such as Lifeline’s rv batteries. This is a no expense spared luxury vacation where you will be pampered. Think luxury resorts with fine dining, boutique hotels with spa treatments, or being served cool drinks as you sit by a pool. A luxury vacation is great if want to have some time away from it all. Where are you headed on vacation this Summer? Choosing the right vacation depends on what you want to get out of it, so why not make a note of what you really enjoy doing? You don’t have to commit yourself to one type of vacation either, for example, you might want action-packed days but relaxing luxury at night. Once you understand your goals for your vacation, deciding on where to go and what activities to do becomes much simpler.